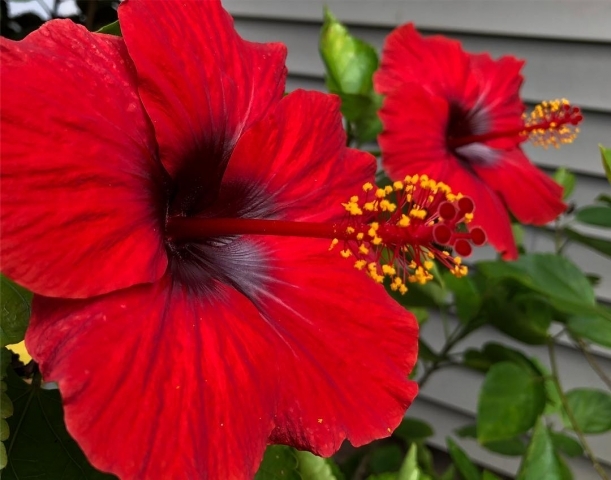 Give your entryway the red carpet treatment: If you are looking for bright tropical colors on an easy-to-grow plant, look no further than Hollywood Hibiscus. My favorites are 'First to Flirt' and 'Jolly Polly' with their bright flowers, but all varieties that I've grown perform well in my Northeast garden. The plants supply multiple blooms throughout the growing season on strong healthy plants, which garden pests in my area leave alone. When the fall temperatures dip, I bring them indoors to overwinter. That way when the temperatures begin to warm up in mid-May, they are also ready to head outdoors and begin blooming again. As a tropical hibiscus lover who lives in the north where they aren't winter hardy, I appreciate ho easy Hollywood Hibiscus are for me. For me, these are no-care plants that jazz up our pool area and garner a lot of oohs and ahhs from summer visitors. The premium retail Hollywood Hibiscus commands translates into better marginsk for retailers, without sacrificing turns. Stores are not getting larger, and there is competition for space. It makes sense from a retailer's perspective to devote more real estate to Hollywood Hibiscus. Bought this Hot Shot Hollywood Hibiscus here in Upper Sandusky, OH. It is by far the most vibrant heavy blooming tropical hibiscus I have ever seen or owned. It does take your breath away!!! Look at the size of this Chatty Cathy - it's bigger than my hand! The bush is vigorous and healthy, and it just keeps blooming. Wow! 'Hollywood Gossip Queen' is absolutely stunning. Well done, we can't wait to see more great additions. ‘First to Flirt’: That is a showstopper!